It caught on, some 200 years later, and became the title of a number of songs from such revolutionary outfits as Aerosmith, Motörhead and State of Mind. Rousseau could have added “and when the people have nothing to watch, they will watch cannibalism comedies”. Lucky he didn’t though, because not many people watched this particular lemon. Eat the Rich is a black comedy featuring the cast members of the popular television series The Comic Strip Presents…. (Adrian Edmondson, Dawn French, Rik Mayall, Nigel Planer, Peter Richardson, Jennifer Saunders and Alexei Sayle), plus a whole lot of big name cameos. Among the cameos are two really great bass guitarists: Paul McCartney and Bill Wyman! Enough trivia – time to get to the serious business of comedy. The film is set in a restaurant named ‘Bastards’ where Alex (Al Pellay), is a waiter, trying to put up with the contempt and disgust of the upper-class clientele, who order dishes like “sliced baby koala, poached in its mother’s milk”. Alex is fired for being rude and turns to a life of crime and revolution. The denouement comes when Alex and his friends return to Bastards and start killing and cooking the customers, renaming the establishment “Eat the Rich”. This is the police. Lay down your knives and forks! 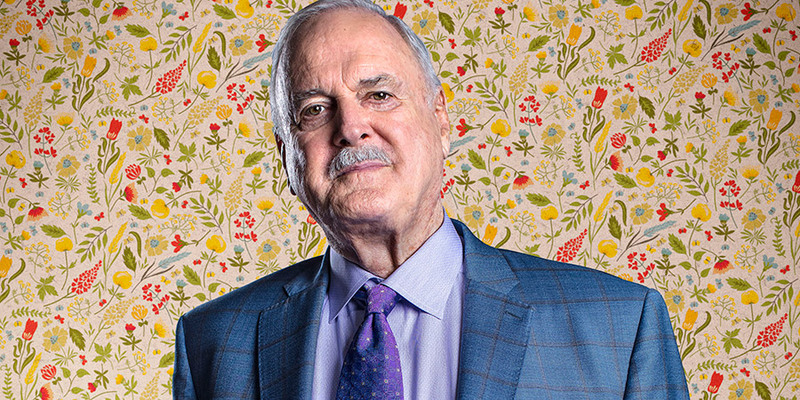 Of course, that could be Cleese being too silly, too silly. But it shows a certain zeitgeist – cannibal films are the flavour of this era of our culture. I wonder if it relates to our fears about the increasingly apparent hazards of a society and economic system based on ever more voracious appetite? Dead people’s fingers? Really? No.